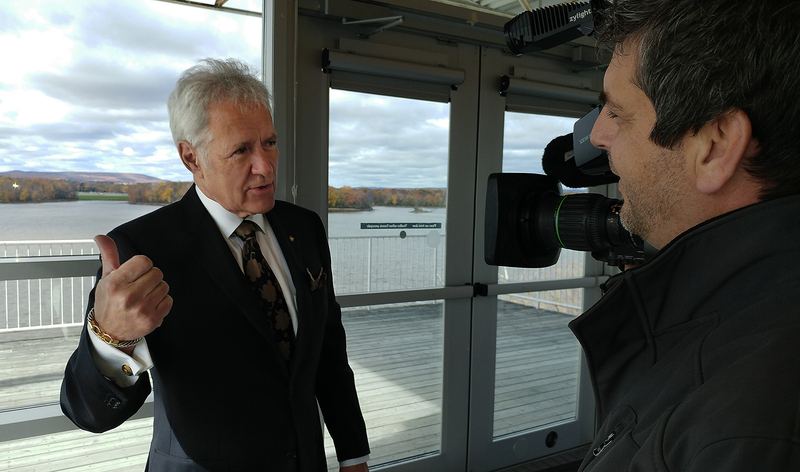 Alex Trebek was named an Officer of the Order of Canada today by Governor General David Johnston for his “iconic achievements in television and for his promotion of learning, notably as a champion for geographic literacy.” He is one of 19 appointees to the Officer level, which recognizes national service or achievement. Trebek has been household name since he announced his first Jeopardy! categories on set in 1984, but his support for student programs and humanitarian work is all but unknown to millions of his fans. 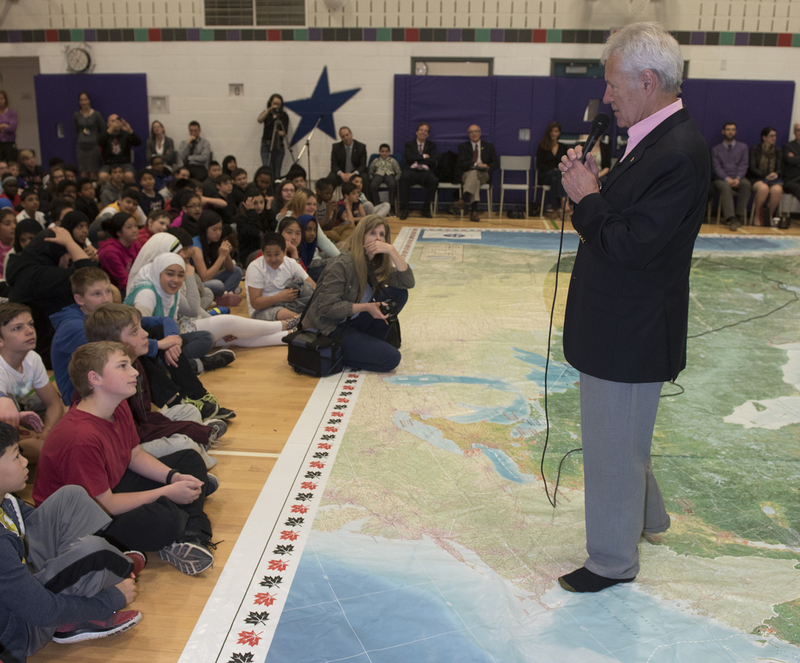 In particular, the Honorary President of The Royal Canadian Geographical Society has long been a champion of geographic education, travelling often over the past three decades to host student geography competitions such as the Canadian Geographic Challenge finals and National Geographic Bee. And when it comes to geography, the Sudbury native turns often to Canada — specifically Ottawa, which, he says, holds a special place in his heart. Sent at a young age to the Oblates of Mary Immaculate prep school, which was based out of the administrative building on the University of Ottawa campus, he looks back fondly on several formative years in the nation’s capital. Post-secondary education didn’t take him further afield, as he went on to earn degrees in philosophy in 1961 and remains a supporter of the university. It was during this time that Trebek started working as an announcer for CBC Radio. Before long he’d been posted to Toronto to appear on the broadcaster’s national radio and television programming, hosting everything from a live music show for teens, called Music Hop, to championship curling events and the popular student quiz show Reach for the Top — this latter program something of a first step in a career of challenging Canadians and Americans of all ages to know their geography, history and politics. Trebek moved to the United States in the early 1970s, where for more than a decade he hosted a string of NBC and CBS game shows before shooting pilot episodes for a 1984 revival of Jeopardy!, which had aired in different forms between 1964 and 1979. What followed was a revitalization of not just a few hundred, but now in excess of 7,500 episodes of Jeopardy! (a Guinness World Record) over 30-some years, during which more than 400 other game shows have been conceived, broadcast and eventually dropped by American television stations. And even though “the man with all the answers” now sports a closer crop on his curly hair than in the ’80s and his famous moustache has been mourned by fans since it was shaved off for the 2001 season, Trebek’s characteristic on-air poise and witty charm have never diminished. Within the first few years of taking the Jeopardy! helm, Trebek had personally developed special tournaments for teens, college students, celebrities and other age and skill categories. Like his early work on Reach for the Top, this fit in with his lifelong commitment to engage in efforts to educate young people on geography, politics and other issues. By the end of the 1980s and mid-1990s he was the regular host of national student geography bee championships such as the Canadian Geographic Challenge (and has confessed, while moderating the biennial National Geographic World Championship, to harbouring the most pride for the frequently high-performing team Canada). Work as a spokesperson for World Vision, a humanitarian organization tackling causes of poverty and injustice, has taken Trebek all over the globe, and he has personally funded the building of medical facilities, a school, eight wells and other infrastructure in a Zambian village of 1,700 people that he and his family “adopted.” One of the other charities he works with, WonderWork, helps children born blind, with cleft palates or clubbed feet, or who have been burn victims. In addition to his nomination to the Order of Canada, Trebek has been on the receiving end of numerous awards and honours over the years, including a Lifetime Achievement Award from the National Academy of Television Arts and Sciences, and he and Jeopardy! received the Peabody Award in 2011 for “encouraging, celebrating and rewarding knowledge.” In 2013, he was inducted into the Broadcasting & Cable Hall of Fame, and is one of the few celebrities to have been honoured with a star on both the Hollywood Walk of Fame and the Canadian Walk of Fame.